The Minneapolis Modern Quilt Guild had a scrap challenge where you drew another member’s scraps along with any likes/dislikes they had. Your challenge was to make something for them with their scraps based on their preferences. I drew a bag of these bright colored scraps and was given “black and white, minimal, pops of color” for directions. I decided to make a mini “Bright birch trees” pattern because I’ve been wanting to make one for a while (the pattern is for a full-sized version, which I mini-sized). 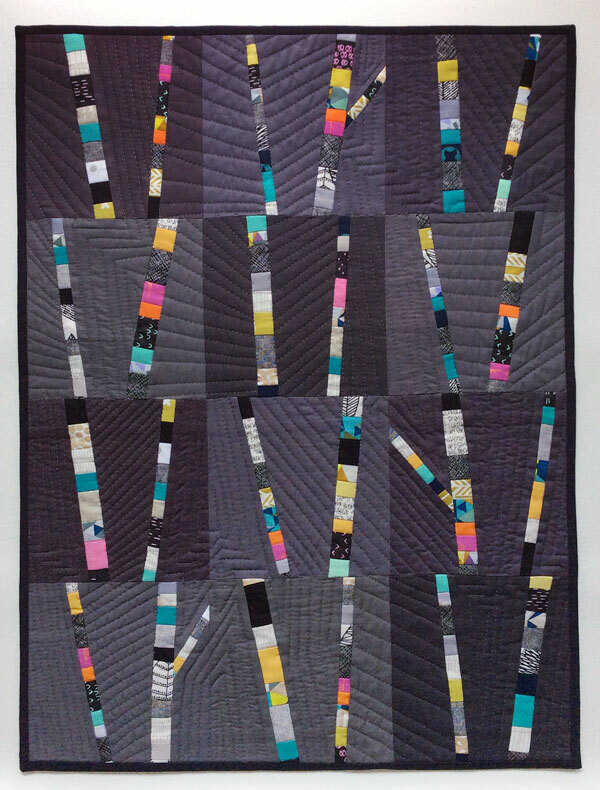 I spent a fair amount of time on the zig zag quilting as well, after puzzling over how to quilt it for weeks.